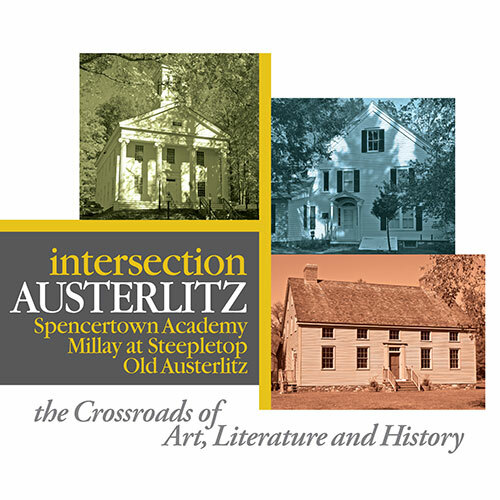 This special program, sponsored by the Academy, the Austerlitz Historical Society, and Millay at Steepletop celebrates fashion and fabrics with workshops, exhibits, presentations and tours. The day of activities begins with a welcome at the new Austerlitz Town Hall, then moves to the Spencertown Academy, followed by a visit to Old Austerlitz (where you are invited to have lunch on the grounds and enjoy some quick DIY projects). The afternoon concludes at Millay at Steepletop. Reserve your tickets here. All three venues are located within 5 minutes of one another and will stay open all day until 5:00pm. Passport holders will sign up for either a workshop or presentation (choose from several options for adults and children) at each location. Boxed lunch is included in the fee. Children under 12 participate for free and have the option to purchase a boxed lunch. Stayed tuned for more details.